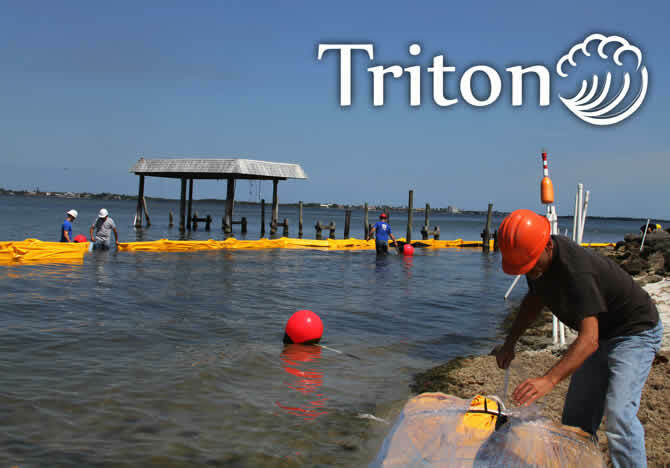 GEI Works manufactures a comprehensive selection of Triton Turbidity Curtains, as well as custom solutions for your silt and turbidity control needs. We offer silt curtain models for calm water, moving water, and fast water areas. In order to accommodate all water conditions, these turbidity barriers are made in three standard models: Type 1, Type 2, and Type 3 Turbidity Curtains, with custom options also available. Questions? We can help! Call our team at 1-772-646-0597 or contact us to discuss your project. Water Velocity: How fast is the water moving? Waves: Are there waves? How high/often do they occur? Particles: What type of silt, turbidity, or sediment are you trying to contain? Is it contaminated? Project: What type of project is this barrier for? How long will the project last? Can I reuse a barrier? Wind: Is there wind? What is the speed and/or direction? 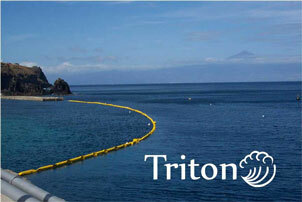 See a response to a customer question about how to make sure his construction job site stays in turbidity compliance. Regardless of model, the most common floating silt curtain design involves the use of a top flotation, impermeable skirt, and bottom ballast chain. 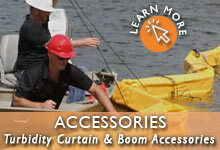 When the barrier needs to accommodate waves or currents, a tension cable will be added to the top section of the curtain. This is used to control the spread of materials and is most commonly found on the Type 2 and Type 3 models. Choosing the right model for your location is dependant on several different factors, including project type and duration. In general, turbidity curtains are typically classified in either Contractor or Project/HD models. 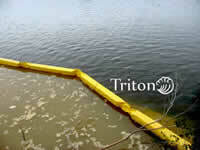 For more information view the Silt Curtain Comparison Guide. For a better understanding of turbidity and how it works, read more about Stokes Law and Turbidity Currents.